"I found Serena languishing in a local thrift store. She was built in my local area nearly 100 years ago. Her existing finish was alligator scaly and she was missing veneer in a lot of places. 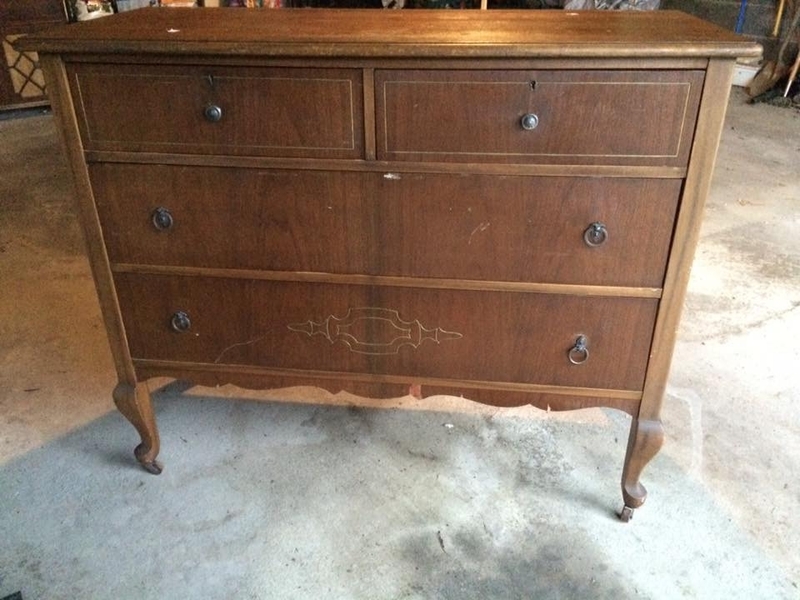 This is the second dresser I chose to tackle and I envisioned I could transform her back to glory with some paint and glaze. I cleaned her, stripped her, patched her and sanded her, and she began to come back to life. I chose to stain the top with a custom mix of antique walnut and java gels for a deep and rich tone. This was finished with several coats of HPTC in Satin. 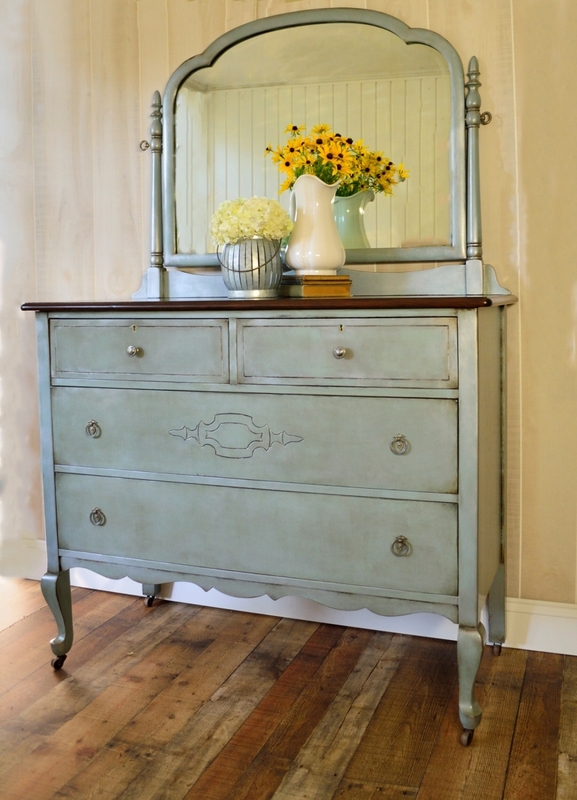 The body is painted with Persian Blue milk paint and antiqued with van dyke brown glaze effects. Pitch black glaze effects helped to deepen the highlights, and the piece was finished with Argentine pearl effects for a subtle metallic sheen. HPTC in Satin finishes the piece. Christine won 3rd place in the DIY Upcycled Furniture category of the 2016 GF Design Challenge Contest with this piece.